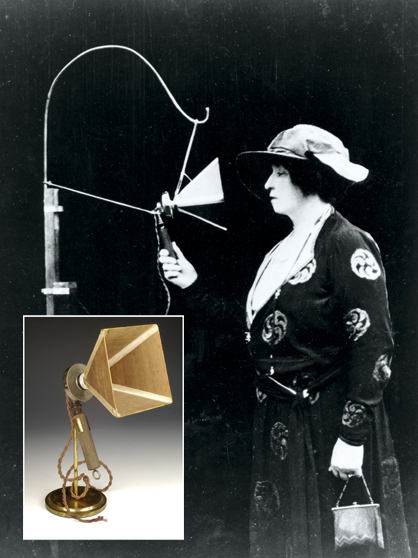 Techniques for using wireless technology to transmit speech, instead of Morse signals, began to be developed before World War I but it was after the war that amateur radio became increasingly popular and simple radio receiver sets were developed for a rapidly expanding market. This meant that wireless could be used for ‘broadcasting’ as well as for sending targeted messages. 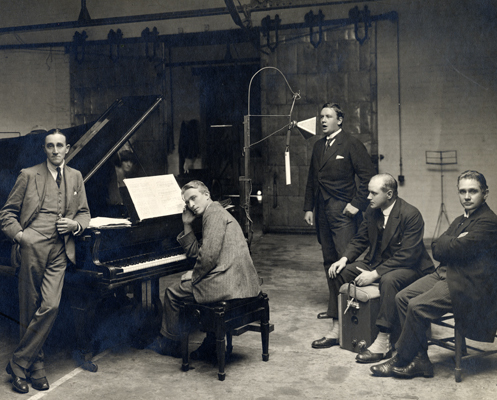 Marconi’s company pioneered regular broadcasts of information and entertainment in Britain. It organised the first ever broadcast of live public entertainment, by the famous Australian soprano Dame Nellie Melba from the company’s Chelmsford works in 1920. Subsequently it set up broadcasting stations at Writtle in Chelmsford and at Marconi House in London in 1922. Strict regulation was enforced by the Post Office, as the licensing authority for broadcasting. But the increasing clamour for licenses from several organisations resulted in their coming together as the British Broadcasting Company (later ‘Corporation’) in December 1922. The era of popular broadcasting for the home – first by radio, later by television – had begun. Horn Loudspeaker(the drive unit is missing), c.1923, of the Amplion pattern, with oak bell and base. 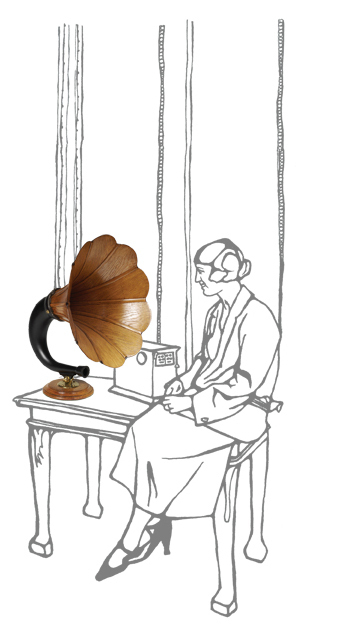 The idea of a loudspeaker illustrated the new emphasis in wireless communication, away from the individual use of headphones and towards the social character of broadcasting. 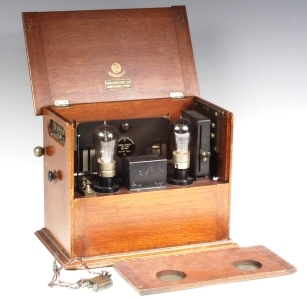 Marconiphone Two-Valve Receiver Type V2, by Marconi’s Wireless Telegraph Co. Ltd, 1923. This is one of the first domestic wireless broadcast receivers. A loudspeaker could be used with the addition of a two-stage amplifier. The microphone used on 15 June 1920 by Dame Nellie Melba for her famous broadcast from Chelmsford, the first live public entertainment broadcast. She has signed it ‘Nellie Melba 1920’.